Value Proposition: To help parties in dispute find their own resolution through a private, amicable and collaborative process; which preserves relationships, monetary & human resources, reduces emotional stress and significantly shortens the resolution timeline. An Attorney and Mediator, Dan has wide government experience having served for 24 years as the Mayor of Richmond Heights (1989-2013). Although qualified to mediate any dispute, his Mediation and Legal Practice is centered on Municipalities, Villages, Townships, Counties, Mayors, Councilpersons, Trustees, Boards & Commissions, Parks & Recreation Districts, and Public Appropriation Ohio Revised Code Chapter 163 matters. With a Civil Engineering undergraduate degree, Dan has a unique understanding of public works projects and is a Professional Engineer (P.E.) in the State of Ohio. Having also worked in the Property Insurance field, he is also skilled at mediating insurance matters. 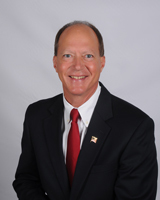 Dan has been a member of the Ohio Bar since 1986. He has been a Board Member for the Mediation Association of Northeast Ohio since 2011. Dan has completed the Supreme Court of Ohio Mediation Course Sequence: Uniform Mediation Act - the Role of Professionals in Mediation; Forty Hour Specialized Family/Divorce Mediation; Basic Mediation Training. He is a member of the Association for Conflict Resolution. 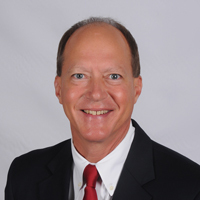 Dan graduated from the Case Western Reserve University School of Law with a Juris Doctor of Law degree in 1985 and from the University of Dayton in 1978 with a Bachelor Degree in Civil Engineering. A lifelong resident of Northeast Ohio, Dan has an avid interest in Cleveland Sports and American History. He is a member of the Greater Cleveland Civil War Round Table.